San Francisco—A case involving a San Francisco retiree jailed for allegedly stealing cologne has sparked a legal decision that promises to transform California’s approach to bail, San Francisco Public Defender Jeff Adachi announced today. The decision issued Thursday by the First District Court of Appeal in San Francisco could abolish the practice of using high money bail to detain poor people without giving them detention hearings, as required by the constitution. 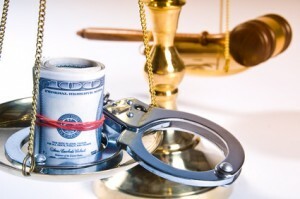 In its ruling, the court stated that “a defendant may not be imprisoned solely due to poverty,” emphasizing that setting unaffordable bail is only justified for those who are too dangerous to release before trial. The decision means judges across the state must change their common practice of setting bail based solely on a chart, called a “bail schedule,” which does not take into account a defendant’s ability to pay. The ruling also requires judges to consider nonmonetary alternatives to money bail. The man at the center of the case, 64-year-old Kenneth Humphrey, has remained in San Francisco County Jail since his May 23 arrest, unable to post bail. Humphrey, who is accused of following an elderly neighbor into his residential hotel room and stealing $5 and a bottle of cologne, faced $600,000 bail. A judge later reduced his bail to $350,000, but the price of his freedom remains too high. Humphrey “is entitled to a new bail hearing at which the court inquires into and determines his ability to pay, considers nonmonetary alternatives to money bail, and, if it determines [he] is unable to afford the amount of bail the court finds necessary, follows the procedures and makes the findings necessary for a valid order of detention,” the appellate court stated. The San Francisco Public Defender’s Office, which represents Humphrey in his criminal case, has been requesting bail hearings in all criminal cases since October 10. Adachi encouraged public defenders and defense attorneys across the state to do the same in light of Thursday’s ruling. The appellate case was filed by the San Francisco Public Defender and the nonprofit Civil Rights Corps on Humphrey’s behalf. Attorneys argued that in setting bond beyond Humphrey’s means without considering his ability to pay or nonmonetary alternatives, the judge violated the 14th Amendment’s guarantees of equal protection and due process. Prosecutors insisted on money bail in Humphrey’s case despite his indigence, his acceptance letter to an addiction facility for seniors, his ties to the community, and his law-abiding life for 14 years before the arrest. The appellate court’s decision can be found here Humphrey’s petition can be found here.